Beginning in 2017, The Identity Project began serving Native American youth in New Mexico. In partnership with the New Mexico Department of Cultural Affairs and the Museum of Indian Arts & Culture, we launched our Semester Residency Pilot Program. This pilot was comprised of residencies at two Title 1 high schools in Santa Fe. 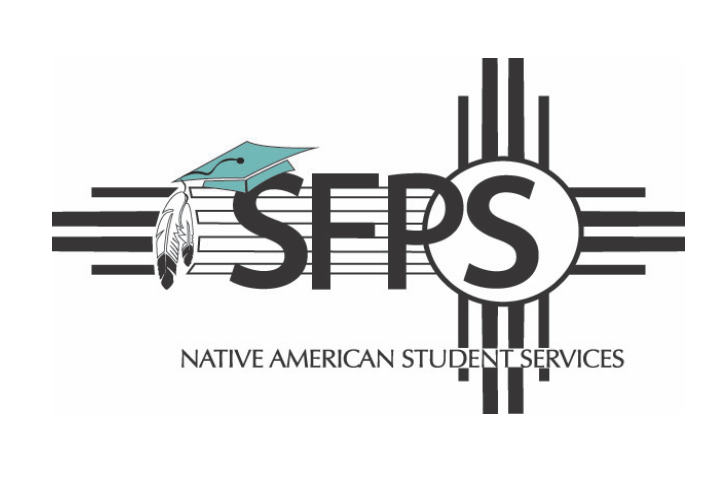 Building off of the success of the initial pilot, The Identity Project garnered state-level support from the Indian Education Division of New Mexico's Public Ed. Department to launch an inaugural Summer Arts Lab in 2017. This 5-week immersive experience uniquely tailored to serve urban Native youth of the greater Santa Fe area. The Summer Arts Lab embodied a brilliant array of “firsts” for The Identity Project. Our successes included recruiting a staff of highly qualified Native artist educators, enrolling a student body representing 24+ tribal nations, establishing our program as an accredited elective, offering paid summer internships to alumni and celebrating our Final Student Showcase with 150+ attendees at the Museum of Indian Arts & Culture. Over the past two years we have collaborated with state agencies, district subdivisions, leaders in education, and community elders to fully realize Identity Project programming that responds directly to the needs of the Native youth communities we serve. Today, a staggering number of Native youth are growing up in poverty. As reflected by the 2009 census report the poverty rate among the Native American population is 23.6%, with 32.4% of Native youth under the age of 18 living in poverty (NCAI Policy Research Center). A systemic problem of this nature creates inevitable fallout, occurring most visibly in the form of traumatic stress. Current research reveals that traumatic stress is deeply dangerous to developing brains, and manifests within the body on cellular level. Traumatic stress is effecting Native American youth today profoundly and viscerally, ravaging their sense of self-worth, engagement, motivation and purpose. When this layer of risk is compounded by scorching histories of intergenerational trauma and unresolved grief, it leaves Native youth increasingly vulnerable to falling victim to the “achievement gap” and/or the “school to prison” pipeline. Despite this stark reality, science offers hope for educators working with youth who are facing adversity. Research that is now gaining traction within the current climate of education reform suggests that nature operates via nurture. In other words, through strands of scientific study such as epigenetics we now know that DNA can change in response to environment. Additional research has shown that positive and sustained relationships with adults have the potential to prevent and even reverse negative effects of traumatic stress. If embraced, this research has the potential to profoundly effect the way we design education interventions and realize prevention science in the classroom. The Identity Project’s work in New Mexico is born from a belief that Native youth growing up in poverty, and dealing with the implications of traumatic stress, deserve educational experiences that respond directly to their needs. More specifically, these students need experiences that can lift them out of this war zone, which manifests internally, ravaging their sense of self-worth and squandering their richness of identity. 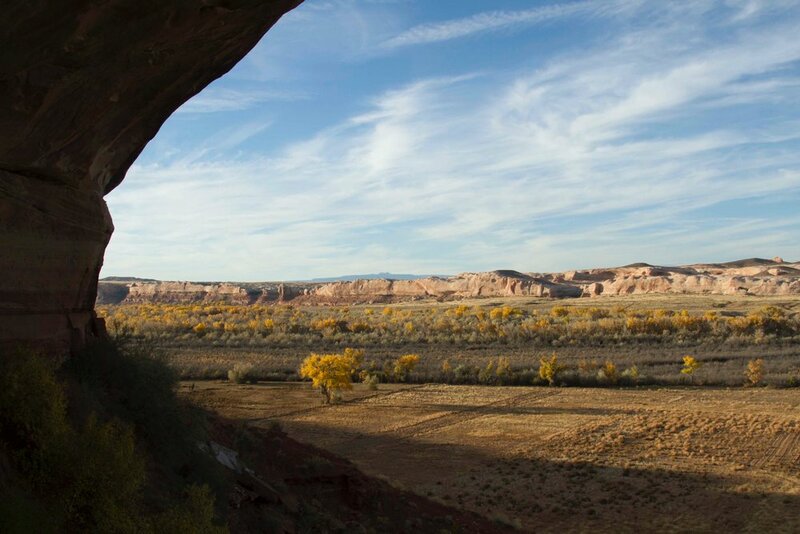 In an effort to ground itself in the cultural values of Indigenous, and specifically Pueblo, youth, The Identity Project has worked closely with Simon Oritz, Acoma Pueblo poet and scholar, to design a pedagogical framework that draws inspiration and direction from Dr. Eunice Romero-Little’s The Keres Study: Identifying Giftedness Among Keresan Pueblo Indians. Conducted from 1990-1993, this study was instrumental in breaking down and problematizing conventional understandings of intelligence as represented by the IQ test. Dr. Romero-Little’s research resulted in the documentation of a Pueblo construct of giftedness encompassing four domains and suggesting multiple intelligences. The Identity Project has aligned our learning phases to these domains in an effort to celebrate the “whole child” and embrace the cultural values of the community we serve. This 80-hour certification is designed to train incoming Native Artist Educators for employment in the Summer Lab or the Semester Residency. Our trainings fully immerse Artist Educators in our curriculum and pedagogical framework providing foundational skills in interdisciplinary social practice and historical/social context for teaching underserved, Native youth in crisis. Sample training courses are listed below. At its core The Identity Project offers Native youth an invitation Home to themselves, an opportunity to create an artistic home within their bodies, celebrate the seat of their originality and their personal power of voice. Our adaptive intervention empowers marginalized youth with an invaluable opportunity for self-actualization, improving readiness to learn on the most fundamental level. Learn more about our innovative model HERE.